At Ducker & Young Scaffolding Ltd, we pride ourselves on the quality of our operative team that serve our customers sites and projects on a daily basis. 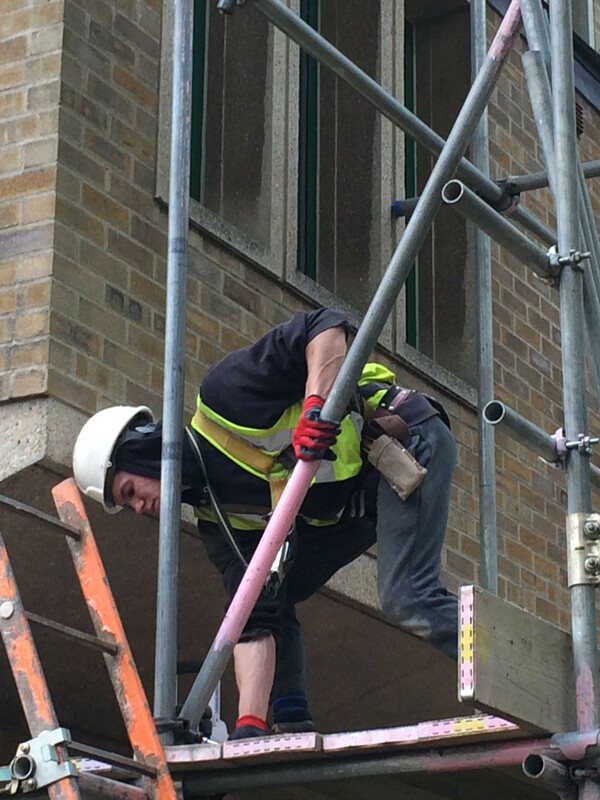 We pride ourselves on paying industry standard competitive high rates of pay to the right operatives that meet our strict criteria for safety and who pride themselves on the quality of their work. With the emphasis on working safely every day, all the time and to ensure that we are working to SG4:15 with advanced guardrail, training is the focus for finding the right operatives to join our team. 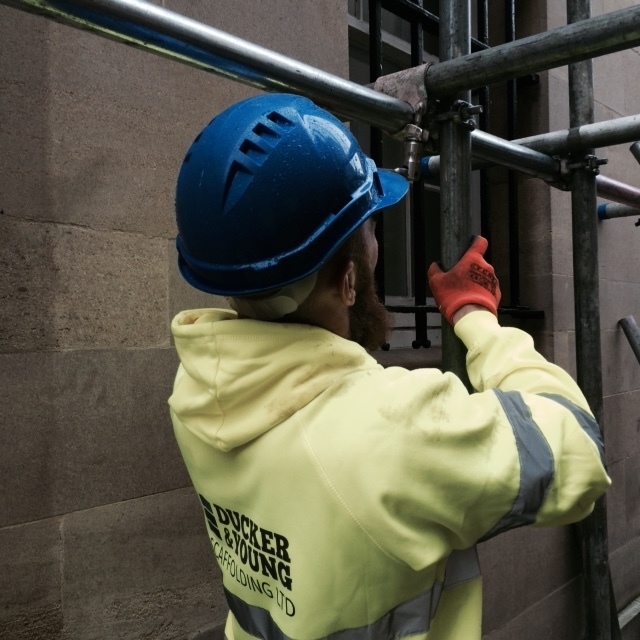 At Ducker & Young Scaffolding Ltd, we are always looking to introduce new individuals without any previous experience in scaffolding into our Industry. Without new trainees starting in our business and industry, we cannot continue our planned an continued growth for the future. 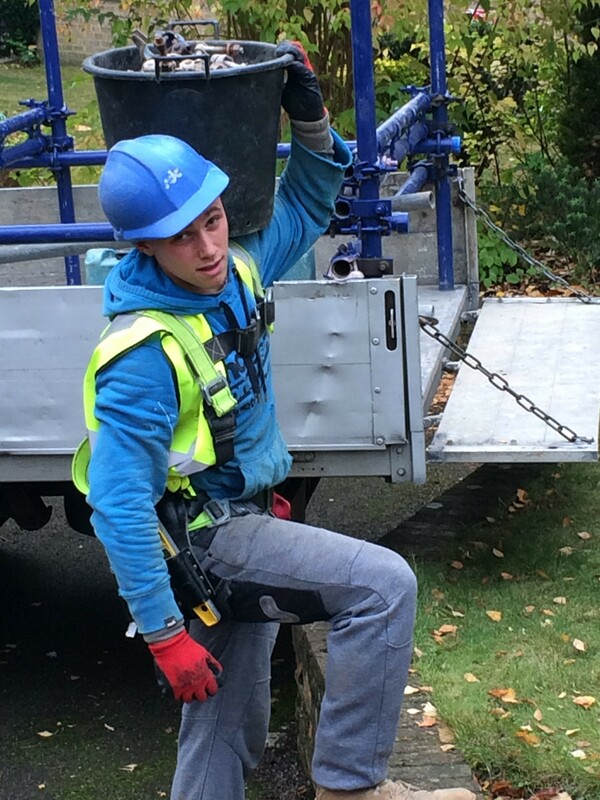 If you would be interested in a career in scaffolding but are wondering where to start and how to get involved, why not give us a call and speak to us. You will need to be 18 years of age or over and some previous site experience is preferred, although not essential. We can help you in obtaining your required CSCS / CISRS Health & Safety Card and on the job training including your COTS Qualification and a planned and structured route to Part 1 Qualification through to Advanced. If you prefer to undertake your training through an Apprenticeship, we would be happy to talk with you as well. Give Jonathan a call on 01993 703082. 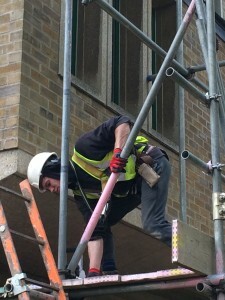 As part of our ongoing training programme and continued commitment to training and providing our customers with the highest standards within our Industry, we are always happy to speak with Trainee Scaffolders and Part 1 Scaffolders who are looking to further their career and work toward gaining there Part 2 and Advanced Scaffolding Qualifications. With on the job training and COTS qualification recognition we look to provide a clear training structure and path. Interested in joining our team, why not give us a call and find out more. Call Jonathan on 01993 703082 and ask for more details. 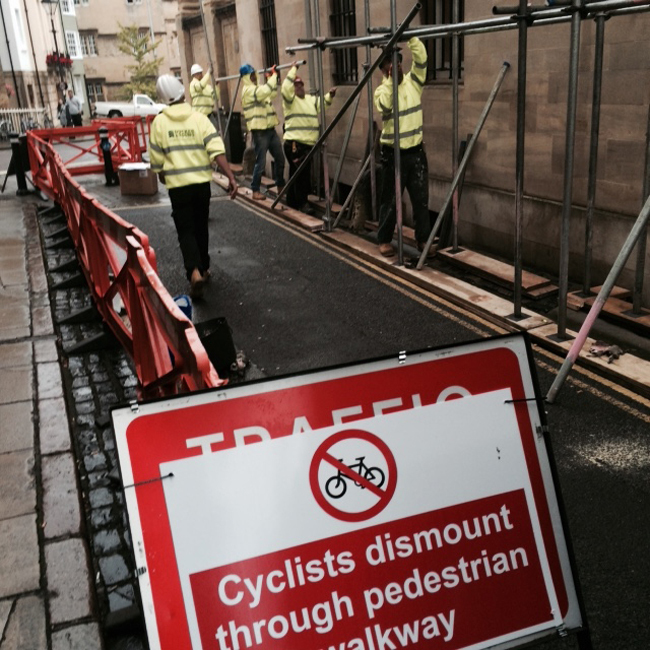 At Ducker & Young Scaffolding Ltd, our Part 2 and Advanced Scaffolders are required to take a charge-hand Scaffolder role in the day to day operation of sites and projects. 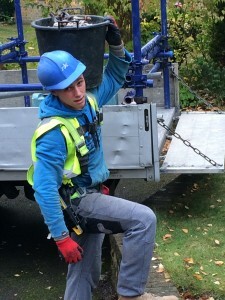 Often working with Trainee Scaffolders under their direct supervision, Part 2 and Advanced Scaffolders work directly with site teams and trades to ensure an efficient and safe site, working to program and budget. Further training often involves both SSSTS and SMSTS, scaffold inspection and Leadership skills training, all designed and intended to assist in the day to day high standards expected of our client based site teams. Do you fancy taking up the challenge, why not give us a call and speak to Jonathan on 01933 703082?